Before I begin, I should make this clear that, this is not a detailed, in-depth review of the lens with lots of stats. You will find many such reviews online. I am just sharing my first impression as an amateur. 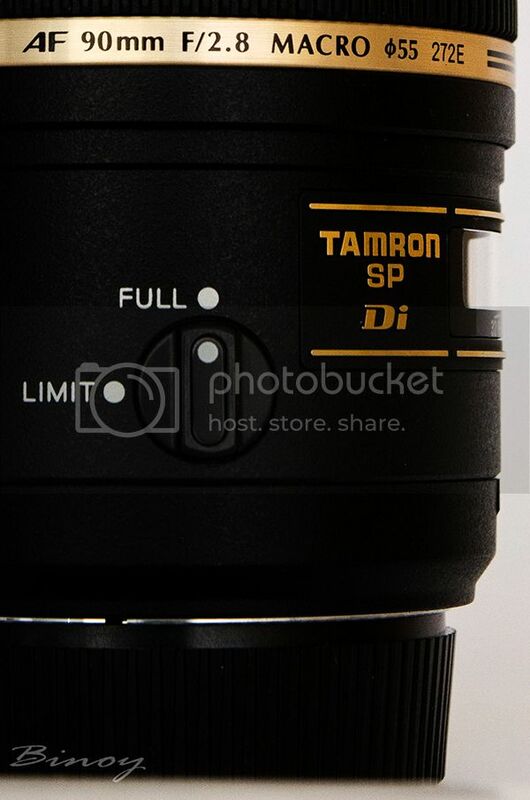 I got myself this lens only a couple of days back. I must thank Prabir da for accompanying me and giving me the final 'push' for buying this piece of glass. Though I am not skilled enough yet to take proper macro shots, I still got this lens for using it as a standard portrait/close up lens for taking photos of flower, food etc. (Plus at 20k, I didn't have much to lose anyway ). First things first, you get the following items inside the box- The lens and hood inside a nice cloth pack, warranty and instructions manual. Switching between AF and MF is done by shifting the focus ring. Pull the ring down for MF and push up for AF. At first it felt a bit cumbersome, but soon I got used to it . In fact now it seems a better option than to shift a tiny switch for AF/MF. However, it does seem that this may be more prone to dust. Also the focusing ring seems a bit wobbly. There is a focusing scale and DOF scale on the lens. There is a focus limiter switch which I found invaluable. It allows to set focusing between 0.45 meter to infinity and between 0.29 meter and 0.45 meter It really increases the focus speed and accuracy of the lens, depending on the intended usage. The button is placed well and could be operated upon without removing the eye from the VF. The front element doesn't rotate while focusing but it extends quite a lot (a good 4-5 centimeters). Thats one thing that should be kept in mind while shooting macros. The picture below may give a rough idea. In the very limited time that I got to use the lens and from the few shots that I clicked, one thing I can say for sure, the lens is sharp. I don't know about FF cameras but in the APSC cameras, even the corner sharpness seems to be excellent. The output of the lens are really contrasty and the colors are punchy. 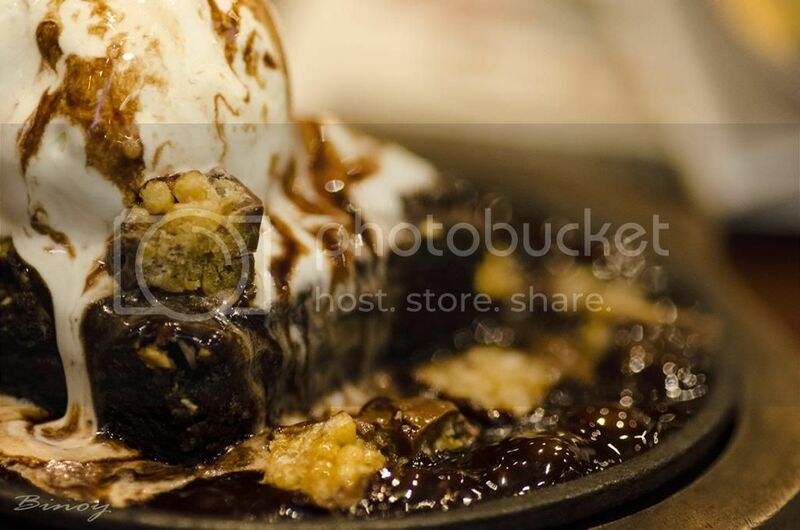 I liked the output of the lens very much. Although not buttery smooth, the bokeh was pleasing and not too harsh on the eyes. The downside of the lens is its AF. Its terribly slow and unpredictable. It failed to lock focus in some well lit conditions also. The focus limiter switch improves the AF ability to some extend, specially at the infinity end. The lack of VR definitely hurts at low light situations. 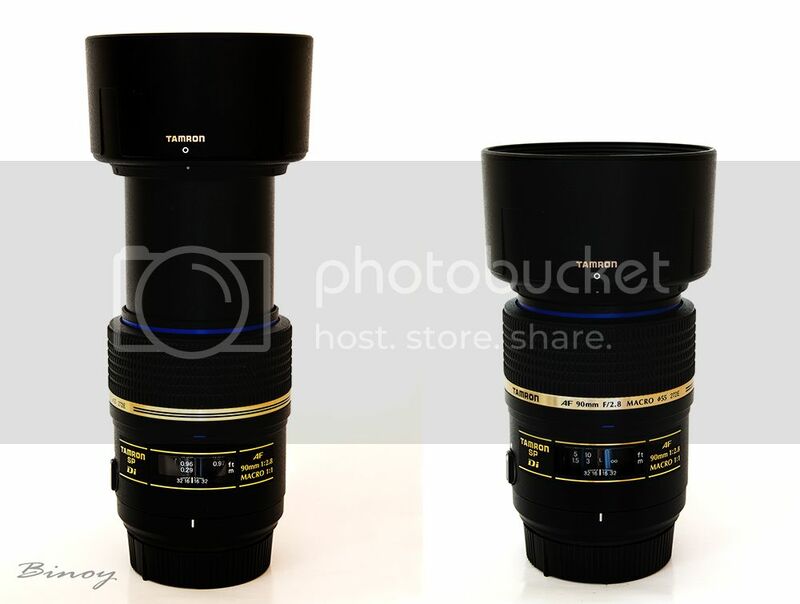 If one has the budget, then he/she should definitely go for the VC version of the same lens. That lens offers some added advantages over this one at a little extra money. Also I missed the aperture ring that used to be there in the earlier versions of the same glass. Like what everyone else does when they buy a new lens, I also took the usual headshots of unwilling friends and macro of a cigarette box. Sharing couple of them for you to see and decide the actual performance of the lens. They are not edited much apart from slight curves adjustment. Pros- Its a definite Value for Money. 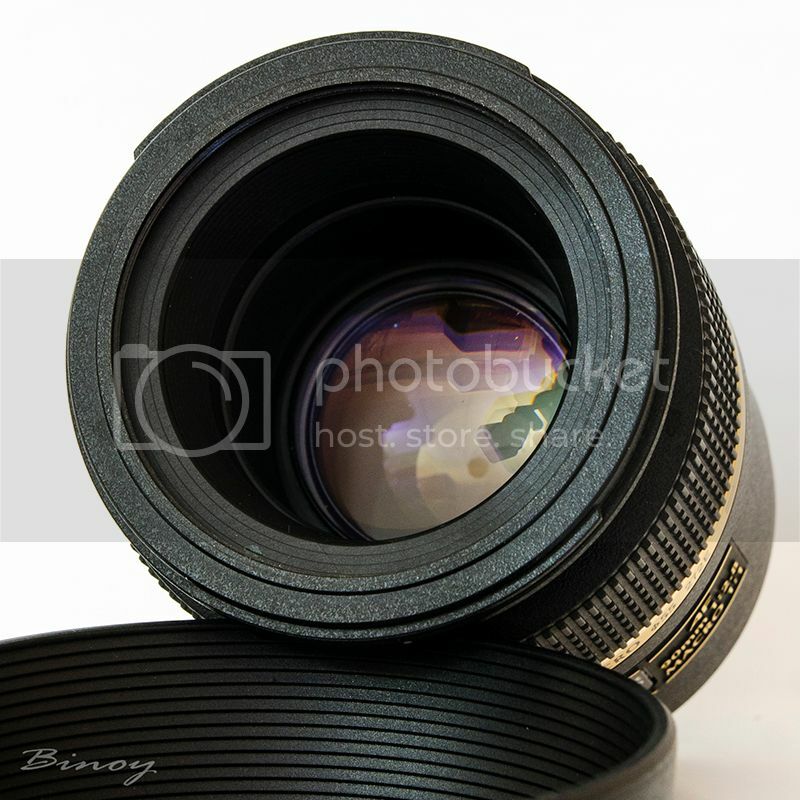 You are getting a nice sharp macro lens for about the same price of a consumer grade zoom lens like the Nikkor 55-300. The performance (IQ wise) is great and the images look lovely without much effort in PP. Offers good magnification with reasonable working distance. Manual focusing is easy and comfortable with large focus throw. Hood included in the package. Cons- Not so great build quality. Front element extends quite a lot while focusing. AF is painfully slow and unpredictable. So, in the end, considering everything, I personally believe its a good choice. At least for a beginner on a budget, you can't go wrong with this lens. Very clear and honest write-up. what i usually do with this lens for macros is mount it on a monopod and turn auto focus off - move back and forth to get the subject in focus - check if this trick works for you. Nice write up. I had the similar lens and got fed up with the focusing speed and the noise that the motor makes. But other than those, this is one of the sharpest lens that you can buy for this money and probably another couple of tens of thousands. Most macro lenses are pretty good when it comes to sharpness and this one is no difference. Had the AF was better I probably would've kept this lens. But for a dedicated macro shooter it shouldn't matter much as they would be using manual focusing for most of the time. 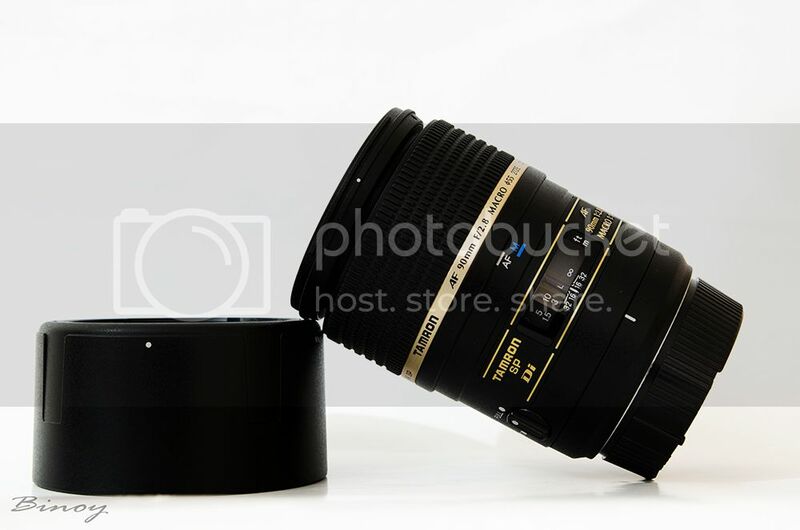 BTW, there is a newer version of this lens, has anyone tried that version? Thans Prabir da and Ayaz for your encouraging words. Kaushik da, I believe you had the earlier lens which had the aperture ring and did not have in lens motor. In this version, the AF is not so horribly noisy. By the new version are you trying to imply the VC version? Yup, for the other part I was talking about the new VC version, anyone tried that one? How is it compared to the older lens? One more good thing (in my opinion, YMMV) about the new version is that it's IF and so the lens's length doesn't change like it happened with the older lens. I have the same lens but in Sony mount so a few changes (no AF motor in the lens being probably the only noteworthy change). This lens is stabilized on my Sony body but stabilization unfortunately is pretty ineffective at macro range and I get less than even one stop handholding with IBIS. On non macro range I get around 2 - 3 stop stabilization which is a good thing. @Kaushik - The newer version is supposedly faster in focusing and has VC built in. However it is much more expensive in India (around 35k). Better to stick to OEM lenses for that price. Also focusing is largely dependent on the body. I found focusing to be pretty fast on my friends 60D. Nice article. First impression penned down by you is impressive. Nice review. But as I had mentioned in the JJmehta forum as well that pulling and pushing the focus ring to alternate between AF and MF, especially when you want to do micro focus adjustments, makes me lose critical focus when mounted on the tripod due to a shake/shock in the whole shooting setup due to which I prefer the small AF/MF switch over the push pull mechanism of this lens. Nice review Binoy. All aspects have been covered well. 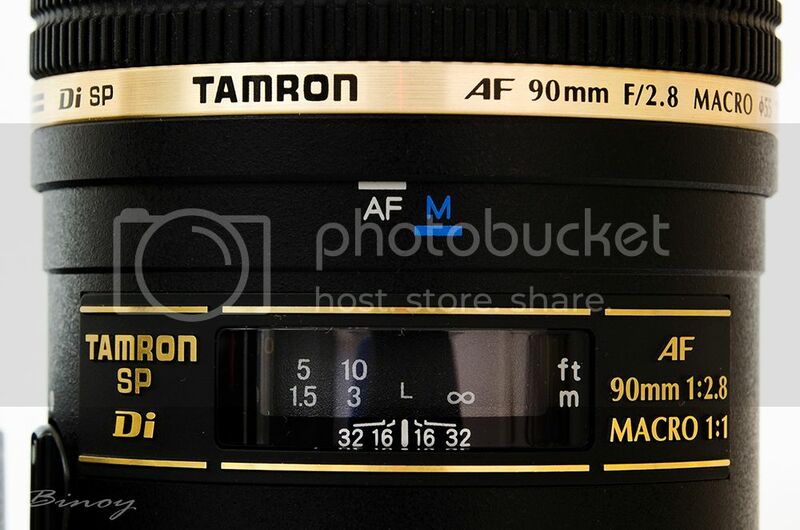 Tamron markets this lens as a 'macro - portrait' lens ! Thanks for your views guys.. I am beginning to use the lens more and more. I must say, its bloody good vfm. Shall upload some pics later..
A nice write up and images Vinay. A great bang for bucks lens. I still rue for selling mine , a mint copy for throwaway price. You will also like to make portraits with it. A slightly warm glass , at least mine was and sharp , very sharp. Somnath da, you should have told me before selling Anyways, no doubt about the sharpness. But that also brings out the imperfections in skin when its being used as a portrait lens. The PP gets tougher..